The official music video for the song "Doublespeak" from Illinois's VEIL OF MAYA can be seen below. The track is taken from the band's new album, "False Idol", which will be released on October 20 via Sumerian Records. The disc is described in a press release as "a marked sonic evolution — it's more hypnotic, heavier, and hits harder than ever before. 'False Idol' also encodes a curious narrative underneath a maelstrom of polyrhythmic guitars, sweeping vocals, and shuddering beats." 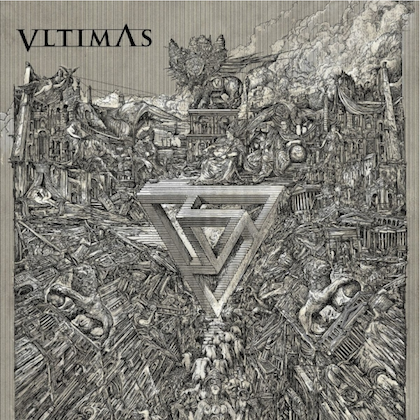 "The whole album is told from a first-person perspective", explains vocalist Lukas Magyar. "You're following this character, who's not the nicest person, and he rises to power. You'll have to listen to find out what happens — it's a very dark storyline." "It felt more like we were making a movie or a TV series," guitarist Marc Okubo adds. "Lukas actually had a storyboard idea that we talked about before even starting. 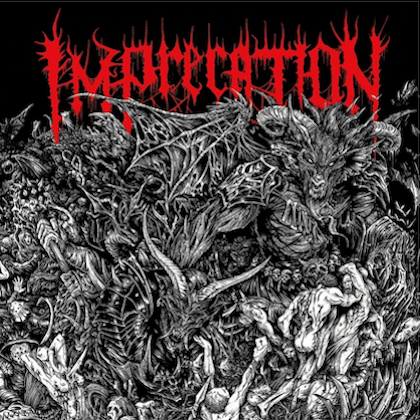 It's almost like we were providing the soundtrack in VEIL OF MAYA's template." The seeds for this widescreen ambition can be traced back to 2015's "Matriarch", which bowed at No. 2 on the Billboard Hard Rock chart and spawned the band's biggest hit to date in the form of "Mikasa" — the video racked up over 5.2 million YouTube views and 5.1 million Spotify streams. The album also earned critical acclaim from Billboard, Alternative Press, New Noise Magazine and more. 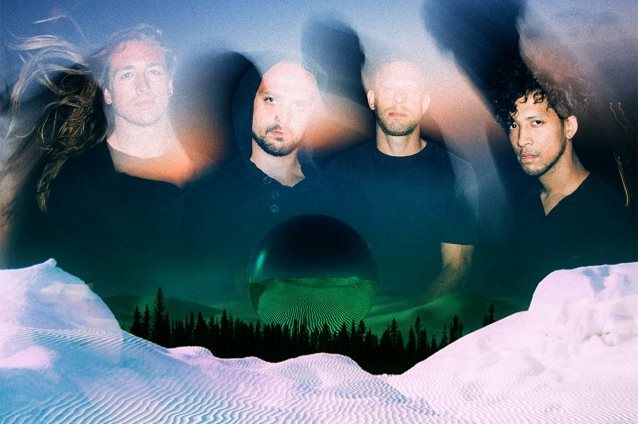 The release of "Matriarch" saw VEIL OF MAYA hit the road with the likes of ANIMALS AS LEADERS, UPON A BURNING BODY, VOLUMES, CHELSEA GRIN, OCEANS ATE ALASKA and other heavy hitters, as well as performing on the Vans Warped Tour. Then, in late 2016, the band headed to Los Angeles to record what would become "False Idol". Marc Okubo worked with producer Max Schad in one studio, while Lukas Magyar teamed up with vocal producer Brandon Paddock in another. "Working in two studios at the same time was a new approach for us," says Marc. "In the past, we completed all of the instrumentals for Lukas to then marinate on. 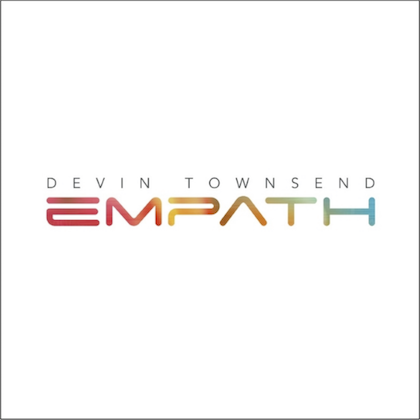 Everything was done by the time he joined the band, but this is the first time we got to write with his voice in mind. And another change was that he was writing on the spot — it brought a different energy and ended up being really cool. Working with Max [Schad] made a big difference too." The end product is a darker and heavier vibe, with first single "Overthrow" effortlessly moving from a crushing tidal wave of riffs into a soaring, striking clean refrain. It taps into the expansive energy of signature fan favourites, whilst elevating the group to a new level. 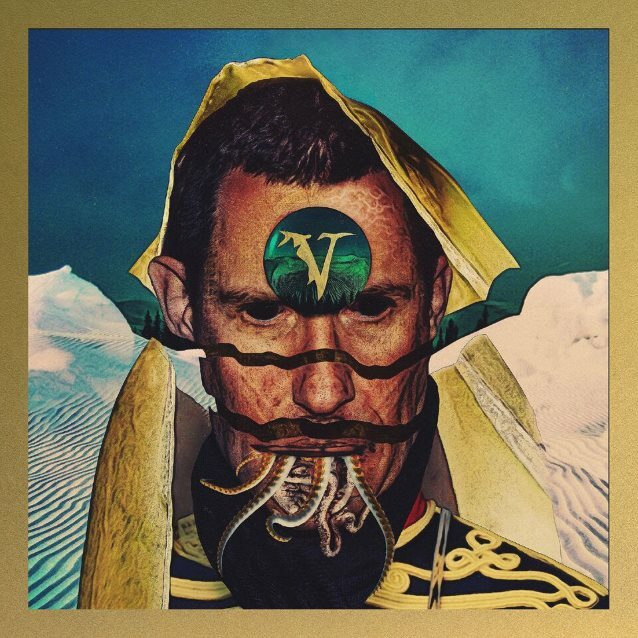 In "False Idol", VEIL OF MAYA have an album that crushes pulverizing power with an unforgettable narrative in the landscape of their most definitive work to date. "We wanted to create something fresh," Lukas explains. "We didn't recycle the same old thing. It's a new beginning." "I hope the record is one that people will want to go back to and study again," agrees Marc. "It's worth more than one listen."